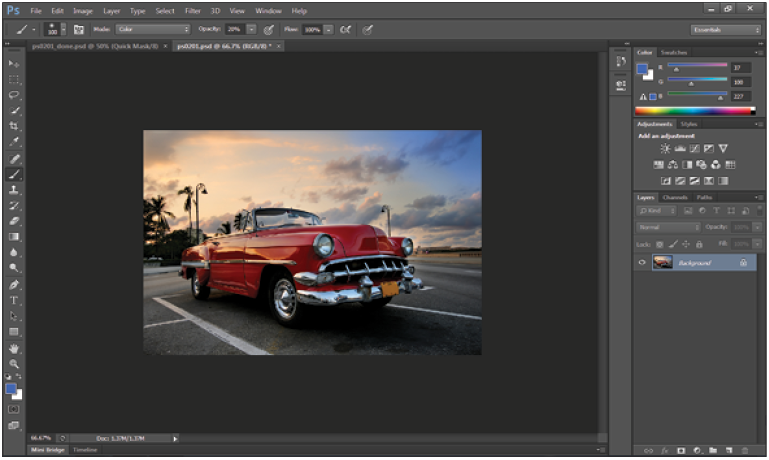 Adobe® Photoshop® CC software delivers even more imaging magic, new creative options, and the Adobe Mercury Graphics Engine for blazingly fast performance. Retouch with greater precision, and intuitively create 3D graphics, 2D designs. More freedom, speed, and power to make incredible images real. And now, you can design for screens faster than ever with real-time image asset generation powered by new Adobe® Generator in the latest update to Photoshop CC. Plus, share your work straight to Behance® to get feedback and showcase your projects. It’s all available now.